We help guide investors of all sizes to reach their financial goals. For those that are just getting started, want to do it themselves or don’t meet our asset minimums we can now offer $ymbil, a self-service digital investment solution. 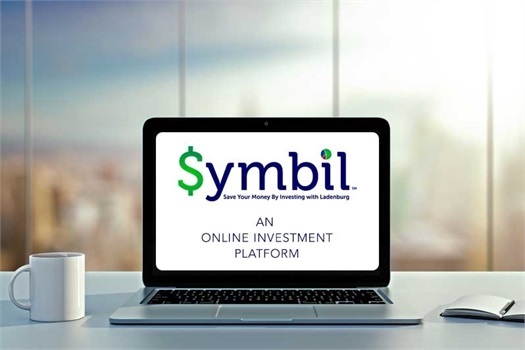 $ymbil is easy to use, requires no paperwork, low cost, offers automated monthly investing-to automate the saving habit so you don’t have to think about it and an online and mobile investor portal for you to review your portfolio. After completing $ymbil’s brief online profiling questionnaire, the system will recommend a risk-appropriate investment portfolio, tailored to your goals and objectives. In only a few minutes, you’ll be invested in a diversified portfolio, based on your objectives, and on your way to long-term saving and investing. All online, simple, and seamless. Set-up monthly or quarterly automated transfers into your account and save for your future without lifting a finger. The portfolios available through $ymbil are actively managed by experienced investment professionals and tactically adjusted based on changes in the market. We help you plan for your financial future. Have you heard of $ymbil? This portfolio will be actively managed by the experienced team of investment professionals at Ladenburg Thalmann Asset Management (LTAM) and automatically adjusted based on changes in the market, in order to keep it in line with your stated risk profile. LTAM is a SEC Registered Investment Adviser and manages over $2 billion in client assets. If you choose to invest in the portfolio, you will then be guided through $ymbil’s simple online account opening process where you can get started with as little as $500. You can also take advantage of various investment tools to help grow your investments - such as an automated investment plan that can be set up to withdraw money from your bank account and invest it into your portfolio on a monthly or quarterly basis. In the future, if your financial situation changes, you can also easily switch your investment to a more appropriate portfolio. At Lifetime Retirement Partners, we strive to provide the highest quality solutions that address a variety of investor needs. These solutions include not only the investments themselves but also the latest technology to access them.